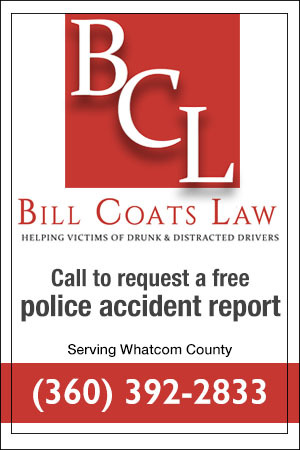 Everett-Bellingham WA - Accident News and Resources including car, bicycle, motorcycle and truck accidents and much more. Across these diverse counties, residents and visitors encounter gorgeous mountain views, extensive waterways, the beautiful Puget Sound, and the vast network of San Juan Islands. Whatcom County has a population of approximately 200,000. The county seat and largest city is Bellingham. The county name ultimately derives from the Lummi word Xwotʼqom, meaning "noisy water." The largest industries in Whatcom County include manufacturing, agriculture, and healthcare. Whatcom County is the location of Western Washington University. As of the 2010 census, its population was 78,506. Its county seat is Coupeville, while its largest city is Oak Harbor. Its name reflects the fact that it is composed entirely of islands. It contains two large islands, Whidbey and Camano, and seven smaller islands - Baby, Ben Ure, Deception, Kalamut, Minor, Smith, and Strawberry. San Juan County is a county located in the Salish Sea in the far northwestern corner of Washington State. As of the 2010 census, its population was 15,769. Of the hundreds of islands in the county, only 60 islands are inhabited. Skagit County, with a population of 116,901, is situated in the gorgeous Skagit Valley. The county seat and largest city is Mount Vernon. The majestic Cascade Mountains stand to the east, overlooking a fertile valley boasting a variety of agricultural crops. Running through the valley is the powerful Skagit River flowing westward toward the beautiful San Juan Islands. Snohomish County, with a population of 772,501, is the third-most populous county in Washington. The county seat and largest city is Everett. The county is located between the sparkling blue waters of Puget Sound and the rugged, snow-capped peaks of the Cascade Mountains. Snohomish County begins 12 miles north of Seattle, a little under 100 miles south of Vancouver, and a short ferry ride away from the San Juan Islands and the Olympic Peninsula. Snohomish County is home to over 20,000 businesses, ranging from small family farms specializing in organic foods, to the world’s largest advanced manufacturing facility producing state-of art aerospace equipment. The climate is generally mild and typical of the Puget Sound region. The year-long average daily high and low temperatures are 59 and 44.1 °F. The western region of the Northwest Interior has a marine oceanic climate that is strongly influenced by the Cascade Range and Olympic Mountains, and gets an average of 42 inches of rain per year. 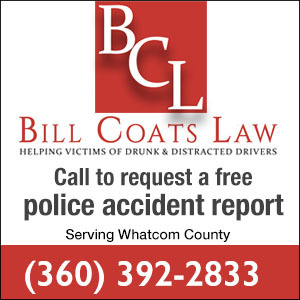 Whatcom, Island, San Juan, Skagit, and Snohomish County truck accidents. When someone is injured in an accident in the region, it is important to gather information about what happens next. When someone has been injured or killed in a motor-vehicle collision, the accident victim and their family members are left with medical bills, lost income, and other costs. It is important to get legal assistance to help the accident victim recover, or when the accident is fatal, to help the family members get fully compensated for their losses. Learn more about how a Pacific Northwest personal injury attorney will help injured victims and families. I was the passenger in a car accident, what do I do? Every time motorists accept a passenger into their vehicle, they form an upspoken agreement that they’ll both do what it takes to make the drive a safe one. Yet it is the driver’s ultimate responsibility to maintain the passenger’s well-being as long as that person is a passenger. Reckless, negligent driving – including drunk, drugged, or distracted driving – puts everyone in danger, especially those who are not in the driver’s seat. In case of an accident those behaviors cause or contribute to, the passenger retains the right to hold the driver liable for damages and losses that result.Click to learn more about car accidents in which the passenger was hurt. The infamous RV, on American highways at all times of the year, is especially present during the warm summer months. Never more obviously than when you’re stuck behind one. Packed with families and those accoutrements that just can’t be left behind, motor homes hit the road and take up much of it. Not only are they a big investment for those who own them – they are also a large obstacle for many motorists who share the road. The extra care and caution it takes to navigate around these vehicles can be like passing a semi. Particularly on windy roads or hills that keep the RV from maintaining the flow of traffic, it can be a stressful moment to many drivers. If you've been in a car accident with an RV, click to learn more about implications of filing a lawsuit against the at-fault party. If I was in a single-vehicle car crash, do I have a case? If you have been involved in a single car crash that occurred through no fault of yours, it may feel as though you don’t have any options for finding financial help to get you through the recovery process. Further, the insurance company and perhaps the authorities will likely figure that the crash was your fault, and it’s tough – as well as inadvisable – to argue against them on your own. A good personal injury lawyer knows that there are often more factors at work in a car crash, and a single vehicle collision is no different. Click here to learn how personal injury law works in your favor if your car crash was due to poor road maintenance. It's up to boaters to prepare themselves for worst-case scenarios, and that begins with property boating safety. If you've never taken a boating safety course, every state and national boating agency will encourage you to do so - even if your state doesn't require it. If you're just taking a course to get your license, you're taking it for the wrong reason. Safety is much more important than a card in your wallet. Click here for classes and resources on how to avoid boating accidents. Wet roadways, especially prevalent here in the Pacific Northwest, present some driving hazards that can catch drivers off guard. One of those hazards is hydroplaning. Hydroplaning means a loss of traction and sliding on a film of water. Wet road surfaces can cause tires to hydroplane. This could result in the loss of control and steering ability, as your tires may lose contact with the pavement, and an accident might happen within seconds. It's a scary feeling to suddenly feel your car hydroplaning, but here are some things you can do to recover control of your vehicle quickly. As the weather warms, more people take their bicycles on the road, for commuting to work, helping the environment, exercise, recreation, and to save on automobile expenses. As bicycling gains in popularity, also on the rise is the likelihood of a crash with a car, truck, or other vehicle – and, so often, these crashes result in serious injury or death to the cyclist involved. In sharing the road with bicyclists, motorists can do a few simple things to make everyone's journey safer. Click here for tips on how to avoid common errors that drivers sometimes make that can result in serious injury or death. Did you know that some cities do not require bicyclists to wear helmets? There is no state law mandating their use, either. This is surprising, due to statistics showing that “helmet use has been estimated to reduce head injury risk by 85 percent,” according to the Bicycle Safety Helmet Institute, a volunteer advocacy group. Go here to learn how helmets protect you, and why you should never get on your bike without one. I'd like to share this video that tells a compelling story about how it's impossible to text and drive at the same time. "Plenty of people will crash, I'm telling you," says one student as he begins the test. He's right. Current statistics from the National Highway Traffic Safety Administration's site on distracted drivingshow that each day in the United States, more than 9 people are killed and more than 1,153 people are injured in crashes that are reported to involve a distracted driver. Every day. Click here to see the video showing how impossible it is to safely text and drive at the same time. Chances are, if you have driven on any road beyond your driveway, you’ve looked up in your rearview to see the front grill of the car behind you filling the mirror entirely. It’s irritating, nerve-racking, and unsafe. Sometimes drivers do it without knowing, especially if they are distracted, other times it’s obvious they are trying to get on your nerves. You aren’t responsible for another driver’s careless driving, but there are a few things you can try to get away from a tailgater. Wet roadways present some driving hazards that can catch drivers off guard, especially hydroplaning. Hydroplaning means a loss of traction and sliding on a film of water. Wet road surfaces can cause tires to hydroplane. This could result in the loss of control and steering ability, as your tires may lose contact with the pavement. It's a scary feeling to suddenly feel your car hydroplaning, but here are some things you can do to recover quickly if you hydroplane.